Brian discusses how he has come full circle with the Journalism degree he earned more than 20 years ago as host of this show. Stuart discusses the dark days of his prior marriage. You will definitely want to hear him discuss his conversations with his kids and how one simple sentence from his daughter, “Dad, you and mom really don’t fight that much” helped shined a light on a new normal that was not healthy for anyone in the family. Stuart talks about divorce recovery and the power of joining a recovery group. He said the most beneficial part of the groups was hearing others stories so he knew he was not alone. He also drew strength from his family especially his parents during this time. Finally, he discusses how the relationship with his wife Debbie is much healthier. He attributes this to paying attention to the small things and taking time to verbally show his gratitude, love and encouragement. 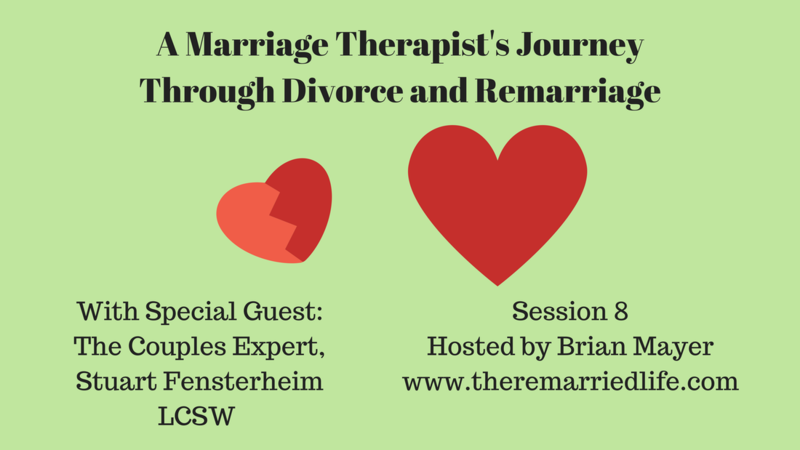 Stuart’s Podcast, called The Couples Expert – Rebuilding Loving Relationships has over 100 episodes on all sorts of helpful topics. The Couples Expert YouTube Channel has lots of quick and helpful videos.